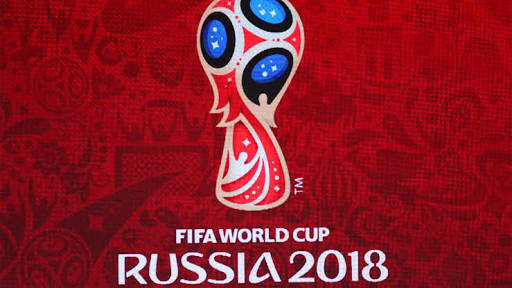 Bitter rivals Nigeria and Cameroon will meet at the Russia 2018 World Cup final round qualifiers after being drawn together in Group B in Friday’s draw in Cairo. Algeria and Zambia are the other teams in their group. Tunisia are drawn with DR Congo, Guinea and Libya in Group A, while African champions Ivory Coast are in Group C alongside Mali, Morocco and Gabon. Korea/Japan 2002 World Cup quarterfinalists Senegal face Cape Verde, South Africa and Burkina Faso in Group D.
South Africa 2010 World Cup quarterfinalists Ghana are up against record five-time African champions Egypt, Congo and Uganda in Group E.
Hostilities and will begin in the five groups in October. Only the winners of each group will qualify for Russia 2018. Four-time African champions Cameroon (1984, 1988, 2000, 2002) have appeared in the prestigious football showpiece seven times (1982, 1990, 1994, 1998, 2002, 2010, 2014). They are the only African team who have played seven times at the World Cup – and the first to reach the quarterfinals (at Italy ’90). Nigeria, who have appeared in the tournament five times (1994, 1998, 2002, 2010, 2014) face an uphill task against eternal nemesis Cameroon, who denied them qualification for Italy ’90. The Indomitable Lions, who won the Abidjan ‘84 and Maroc ’88 Africa Cup of Nations at the Super Eagles’ expense, beat Nigeria 1-0 in their return leg Italy ’90 qualifier in Yaounde on August 27, 1989 to denied their visitors a place in the World Cup. Nigeria had won the home leg 2-0 in Ibadan on March 17, 1988 and needed just a draw In Yaounde to reach Italy, but Francois Omam-Biyik 31st minute goal at the Ahmadou Ahidjo Stadium ended Nigeria’s qualification dreams. The late Stephen Keshi, Samson Siasia, Sunday Eboigbe, Ademola Adesina, Friday Elaho and Etim Esin were on duty for Nigeria. Nigeria will rely on experienced players such as Mikel Obi, Kenneth Omeruo, Godfrey Oboabona and Ahmed Musa to stop Cameroon’s Schalke 04 striker Eric-Maxim Choupo-Moting, Stephane Mbia, Porto’s Vincent Aboubakar and Tottenham’s Clinton N’Jie. Algeria, the highest ranked side on the continent, also pose a threat to Nigeria’s qualification hopes. The Desert Warriors knocked Nigeria out of the race to ESPANA ’82 World Cup, but Nigeria came back to qualify for USA ’94 at the North African’s expense. Algeria beat Nigeria 1-0 to win the 1990 African Cup of Nations on home soil – 10 years after the Eagles defeated 3-0 in the final of 1980 edition in Lagos. It is a tough draw… preparations have to start right now and we must make good use of every single day leading to the kick -off of the series,” NFF President Amaju Pinnick said.